Advance Preparation: Advance preparation is not required for any of the sessions. International Energy Credit Association is registered with the National Association of State Boards of Accountancy (NASBA) as a sponsor of continuing professional education on the National Registry of CPE Sponsors. State boards of accountancy have final authority on the acceptance of individual courses for CPE credit. 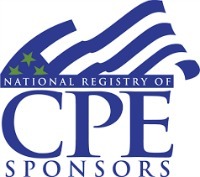 Complaints regarding registered sponsors may be submitted to the National Registry of CPE Sponsors through its website. This program is registered with the Global Association of Risk Professionals (GARP) for Continuing Professional Education (CPE) credits. Credits are based on 1 credit per instructional hour (50-minute sessions may be rounded to 1 hour) and should be submitted through GARP Credit Tracker. Contact cpe@garp.com for additional information. An application has been made with Kansas (reciprocity for New York and California) and Texas for Continuing Legal Education (CLE) credit. Please reference the conference schedule as to which sessions qualify. CFA Institute is no longer offering the Approved Provider Program. IECA can no longer apply for credit through CFA Institute. CFA Institute members can still receive CE credit but will need to document their activities themselves. Please reference the conference schedule as to which sessions qualify.